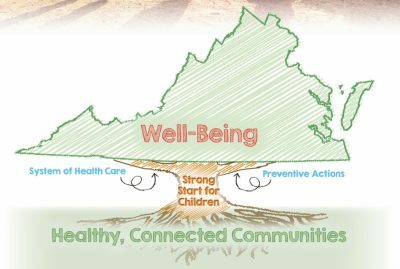 The image of a tree representing the Virginia Plan for Wellbeing is rooted in Healthy, Connected Communities. 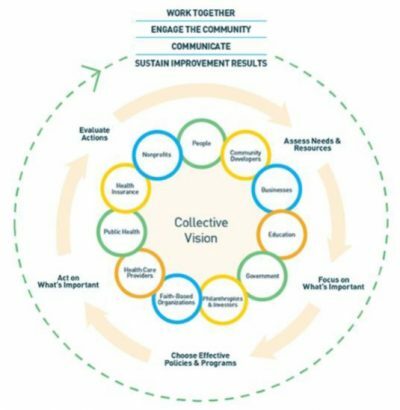 Key elements of building healthy, connected communities are the community health assessment and community health improvement planning processes. A community health assessment is a careful, systematic examination of the health status of the community that is used to identify key health problems and assets in the community. Data from the assessment will inform decision-making, prioritization of health problems and development of plans to improve the health of the community. The success of the assessment is owned and led by members of our community, so that the results accurately reflect the opinions of people in Western Tidewater. 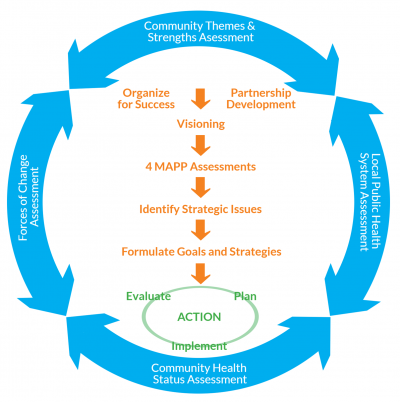 The results of community health assessment will be used to develop a Community Health Improvement Plan, or the community’s own roadmap to improve health. The roadmap will help improve health by guiding the community to align resources and efforts focused on several key community priorities with the overall goal of overcoming weaknesses by leveraging community partnership and strengths. The VDH Data Portal was developed to provide a convenient access point for health-related data for Virginia. This portal is a comprehensive source for community health assessment, public, and population health data. Each data portal page provides interactive data at the most granular level available. If you have any questions or data requests please contact: population.health@vdh.virginia.gov.